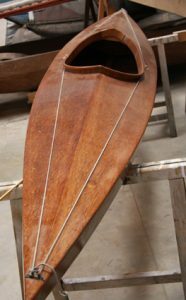 Ken Littledyke was a 1950’s school teacher of woodwork who was in the habit of introducing his pupils to canoeing, including helping them with building their own boats. Initially his preferred method of construction involved canvas stretched over a wooden frame, as was popular at the time. However canvas covered craft are vulnerable to damage both in transit and in use, and Littledyke thought there had to be a better way. He thus went on to develop a “new” method of construction: “new” in that it involved the use of modern materials, although the basic “stitching” technique he applied had a long history stretching back through the Vikings to the Phoenicians. He created paper templates from models of existing craft, scaled them up and then drew them out full size onto sheets of plywood. The panels were cut out, a series of small holes drilled along the edges of the panels, and the panels were then stitched together using initially nylon fishing line and, later, copper wire. The seams were then reinforced with fibreglass tape and fillets of thickened resin. In some cases the stitches were later removed entirely, in others they were snipped off at the surface but left in place. This method of construction produced a craft that was both light and strong, even without internal frames but, perhaps most importantly, required minimal wood working skills or special tools thus making it eminently suitable for home construction. The method of construction impressed Barry Bucknell, who was hosting a DIY show on television and who was looking for a new project. 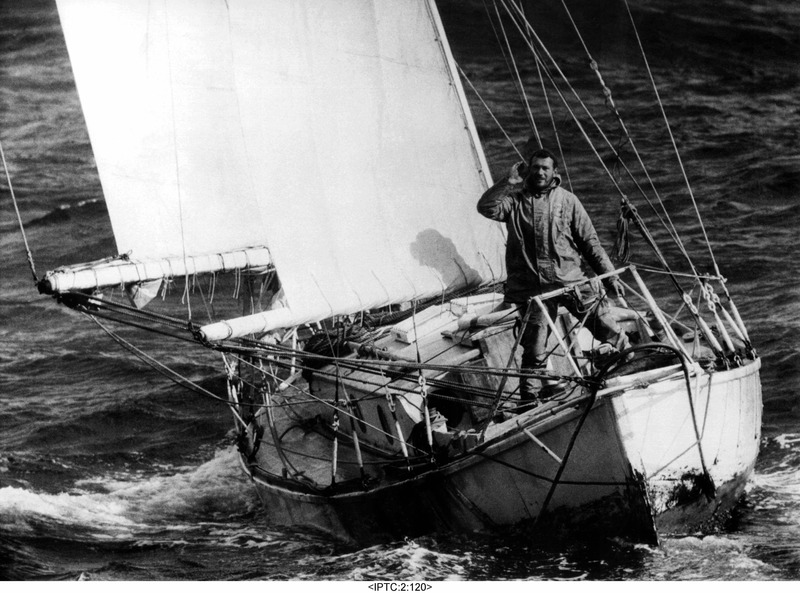 Together with dinghy designer Jack Holt, Bucknell went on to use the technique for the design of the Mirror dinghy which resulted in massive popularization of the method. Ken Littledyke never patented his method so ended up making very little money from a design from which subsequently profited. Littledyke himself eventually left teaching and went on to work for Granta canoes, a well-known maker of canoes in the 1960s, who marketed Littledyke’s design as a set of pre-cut parts for home construction under the Kayel brand. The Museum’s boat Carole, a small size boat for a child, has the added claim to fame of being the childhood craft of a daughter of Percy Blandford, a contemporary of Ken Littledyke, several of whose boats are also in the Museum’s collection.